Dashcam Viewer is a software application for viewing movies, GPS data, and shock-sensor data recorded by your dashcam or action cam. Dashcam Viewer supports over 100 camera models. See below for the complete list of supported cameras and features. And much more! Check out our Features, Video Tutorials, and Users Manual for more details. The free version is fully functional but has a 2-movie sequential limit. Purchasing removes the limit and the splash screen. After upgrading you will receive a registration code within 24 hours. The code is entered directly into the Dashcam Viewer program through the Register window located under the Help menu. This will remove the startup screen and eliminate the 2 sequential movie restriction. A full list of paid-version capabilities is shown in the table below. Paid users: upgrade to the current version for free. Just download and install the latest version. The registration will automatically carry over. A video tutorial showing how to register is provided in the Video Tutorials section. Single-channel sample videos (270 MB). Dual-channel sample videos (540 MB). Dashcam Viewer supports the following action and dash cameras. For dashcams with 2 channels (front/rear), Dashcam Viewer supports picture-in-picture mode. Don’t see your dashcam model here? It may work anyway! If not, see the FAQ page, question #1. Support for these and other camera models will evolve with new releases of DCV. Even if your dashcam is not one of these models, you can still play your camera’s movies without the data. 1For dashcams that support these metrics. HDOP=Horizontal Dilution of Precision (a measure of GPS navigation accuracy at the receiver). Please try the free version before purchase to make sure it works for you and your dash cam. 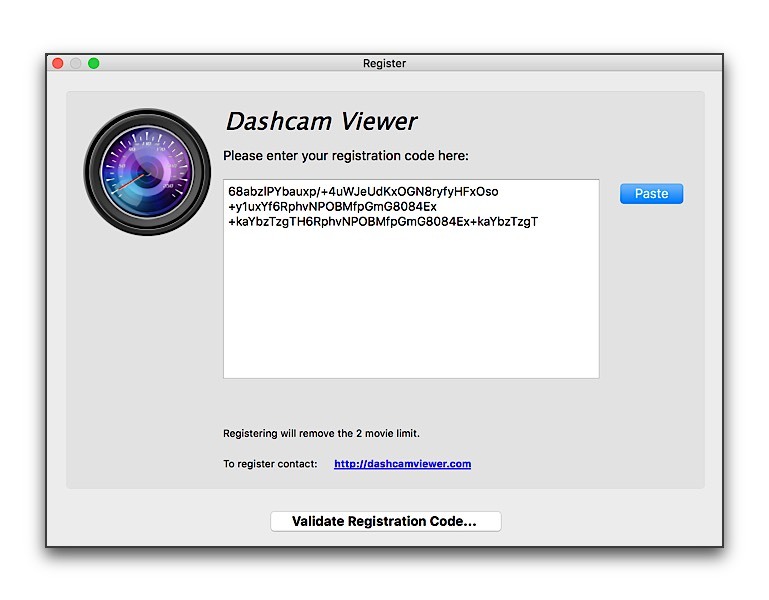 The Mac version of Dashcam Viewer runs on macOS 10.10 and above. 1600×1200 or higher resolution recommended. Dashcam Viewer is not a “signed” application. If macOS issues a warning when you try to run it, see the installation instructions for how to install. Windows 10 is recommended but Dashcam Viewer may run on earlier OS’s (Windows 7 and 8). Please see the installation instructions. 1600×1200 or higher resolution recommended. Low-end Windows PCs with poor video performance and limited screen resolution are not recommended. Dashcam Viewer comes with a Users Manual, which includes detailed descriptions and window screenshots. You can preview it here in English or in German (thanks, Juergen W.). For questions on Dashcam Viewer that are not answered in the FAQ or bulk licensing questions, contact me at: . This software uses code of FFmpeg licensed under the LGPLv2.1 and its source can be downloaded here. The GPL version, which if used in Dashcam Viewer, allows PiP movie exporting for dual-channel cameras, can be downloaded here (this feature is Mac-only for now). See the Dashcam Viewer Users Manual for how to install the GPL version into Dashcam Viewer. StreetGuardian, Instant Imaging Corp, Zetronix, ProofCam, FalconZero, VisionDrive, The Dashcam Store. I was able to get the video from my Viofo A119 at 1440P by upgrading my graphics. Software seems good. Will purchase. I apologize for that issue, James. Some PCs are able to show the 2K video just fine in DV, some don’t. It has to do with a combination of OS (Win10 is best), video card (Nvidia seems to work most), and codecs, but I haven’t nailed it down yet. This problem only seems to occur in the Windows version not the Mac version. Is it possible to video on a android phone with a gps app and then upload? I’m guessing there must be an app out there. Be interested to know what you think, as this would mean I can use my phone’s HD camera and not worry about buying a separate dashcam. Personally I’d recommend a dedicated dashcam rather than a smartphone app simply for the built-in features (GPS) and convenience (automatic GPS syncing). However, if you go this route, be sure to get a GPS app than can export the data in GPX format. That way you can load it into Dashcam Viewer, along with your movie, and see your route. Note that you may have to manually tweak the timeline sync the two (in Preferences). I read your notes that other Viofo A119 Camera users are not getting the GPS data and that downgrading the firmware may fix this. I’ve just tried the enhanced merge-movies capability of 2.5.8 on Windows 7. I’m using files generated by a Transcend DrivePro 220 dashcam. I’ve encountered two problems: 1) although the Save As dialogue box says the resulting file will be merged_dashcam_movies.mp4, it’s actually merged_dashcam_movies.mov, so it looks as if the files are being transcoded from MP4 to MOV format (is this a Mac versus Windows thing with the wrong default being selected? ); 2) when I open that file in Dashcam Viewer, the data in the associated GPX file seems not to be used – all the graphs are empty. I’ve confirmed that the GPX file contains sensible data, by viewing it in GPS Track Editor, so it’s just that DCV isn’t reading/using the info that it contains. Transcoding to MOV is required or else the MP4 file is corrupted. As for as the GPX file not loading, I just tried it and it worked. Be sure that there are no other files in the parent folder– just the merged MOV and the GPX file (both should have the same base filename). I’ll have to look into the Avast malware issue. I probably need to register my app with them somehow. Grrr. Hi Matt, yes it’s a problem with underlying video library used by Dashcam Viewer (and Apple’s own QuickTime Player 7) not being able to play some formats of MP4 movies. You may be able to use DV to export the GPS data to a GPX file (keeping the same base filename), convert the movie to .mov, then re-load the .mov into DV. Dashcam Viewer should use the GPX file as a surrogate GPS data source. That way you can workaround this bothersome issue. I’ve been using the Dashcam Viewer on my PC since April 2016 and it’s very good. Now, I would like to install it on my MacBook Pro. Can I get an upgrade for that or have to purchase a whole new package? Hi, today I tried my new Viofo A119 (FW 2.0) with the actual trial version of Dashcam Viewer and it worked fine – except of G-Forces. That register is not shown on the Graph-window. What can I do to see it? Sorry, bernd, I haven’t gotten the G-forces working with that dashcam model yet. 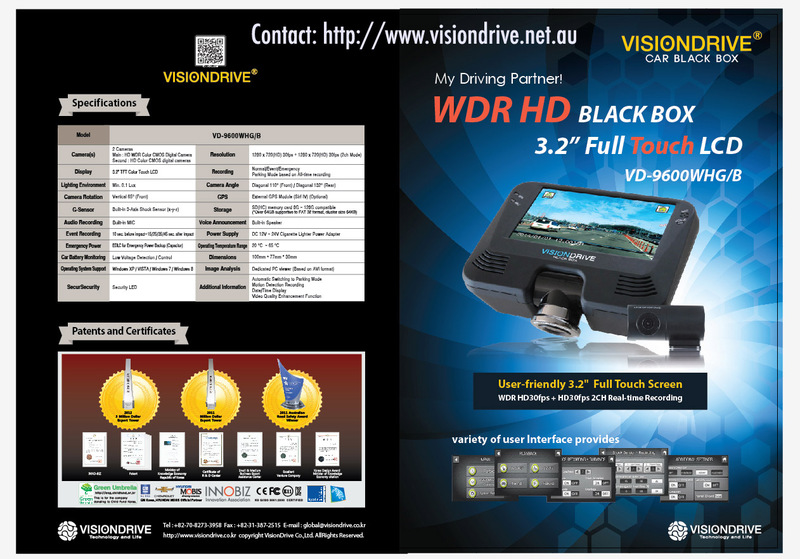 Hi please could you advise, will this dash cam viewer software work with a Snooper DVR-4HD ? Hi Mike, I’m not familiar with that dashcam. You can send me some sample files and I’ll take a look. See FAQ question #1.
will be Dashcam Viewer even supporting 4K resolution on VIOFO A119 ? I’ve never tested 4K video from an A119. Some Windows PCs running Dashcam Viewer can view movies at resolutions higher than 1080p, and some cannot. So I’m afraid I can’t answer that question definitively. John, thank you. 4K video plays fine on VLC – would it help if I provide a sample ? Yes, please provide a sample. See FAQ question #1 for how to send me large files. on the way, details on your mail. Thank you. Bruce, as you discovered the Windows version of Dashcam Viewer can read the HP dashcam GPS data, but unfortunately none of the HP dashcam movie files play in the Windows version of Dashcam Viewer. I think there is an incompatibility btwn the movie codec and the video backend used by Dashcam Viewer. I apologize for the trouble. Will you be making a 64 bit version for Linux Ubuntu ? I have a BMW Advanced Car Eye Cam. I believe that this camera saves both front and back files in one package, so will your program work with this camera. Hi Steve. The short answer is ‘no’. Previously I had a chance to investigate the Advanced Car Eye dashcam and it does some tricky things. First of all, it combines both front and rear movie track into a single movie file, as you stated. I’ve only seen this done with one other dashcam, the VisionDrive 9600. The media library software I use with my software does not allow me to separate both tracks. So for the VD dashcam I actually had to write them a pre-processor program that separates the tracks into two movie files. Very complicated for the user. The second problem is that your GPS data is encoded in a proprietary method within the movie file itself. Many times the GPS data is encoded in the movie subtitle stream, but not in this case. Without help from the manufacturer it is extremely difficult to decode. Firstly thanks for your quick response. I’m gutted, I really am. Have a great Christmas/Bank holiday. Bah, I’ve never heard of such a thing! Don’t be intimidated by the dealer–install whatever dashcam you want! Do you have any sort of mailing list so we can get notified when new versions of Dashcam Viewer are released? There are a couple of ways: (1) Turn on “Check For New Version” in the Dashcam Viewer preferences and a check will occur at startup (2) Subscribe to my Dashcam Viewer Facebook page where I also post updates. I can’t stand FB, but thanks for the reply. I’ll tick the updates option in DCV. Many thanks. Hello, I honestly thought when I got the Falcon Zero Touch Dash Cam everything was through them but now I find out that it isn’t and now I have to go here for problems with the viewer.. BUT ANYWAY.. I just got the unit yesterday – everything on the unit works fine and speeds and everything is correct.. When I view it on my computer (New computer running windows 10 with 6gig of ram and a TB harddrive) I see that the speeds go from 23 to 50 to 24 to 50 to 22 to 48 back and forth as I am actually going 23 or so mph.. it changes about every second or so.. Can someone tell me how to fix this.. Sorry for the trouble, Patrick. There is a long story here but the bottom line is that the Falcon Zero dashcams (F170, Touch) do not accurately write the vehicle’s speed into the movie file. If you were to see it, it would be way off. I’ve been on Falcon Zero’s case about this multiple times but they have yet to address the issue. In the mean time I try to make up for the loss of this measureand by “hand-computing” the speed by using consecutive lat/lon waypoints. This method sort-of works but the downside is that it can produce fluctuating speeds, as you’ve discovered. One very small user-interface suggestion that you might like include some time. On the speedometer on the Dashboard, the distance travelled needs to have a constant number of digits after the decimal point to avoid the display dancing around: if the distance is “5.30”, this gets truncated to “5.3” whereas if the last digit is anythng other than 0 (eg “5.32”) the hundredths of a mile digit is displayed. Because the display is right-justified, this means that the miles digits jump about depending on the number of displayed digits after the decimal point. Probably a quick fix with the formatting of numbers. Appreciate the eagle-eyed feedback, Martin. I’ll see if the digital display widget I use supports fixed precision. I’m using a Rexing S500 Dashcam. The GPS data is not being read by Dashcam Viewer. Clint, I’m not familiar with that dashcam. You can send me some sample files and I’ll take a look. See FAQ question #1. Works well on Nextbase 312gw dash cam the most connected dash cam in the world! UK. I got excited when I read that your Nextbase worked on Dashcam viewer. I installed 2.5.0 but sadly it won’t work for my 402G. I will need to get on to Nextbase again and have a whinge. I wrote to them in March this year and Marketing replied that they would pass my remarks on the their Technical team. I’ll have another go but it probably needs a lot more than just me having a whinge. I want to watch the video clip that recorded by A119 and video is ok but the other informations(map, speed etc) are not shown on Dashcam viewer ver.2.2. I checked there is gps, speed info on video. I tried on Mac version and Windows version. What should I do? And Is Dashcam viewer 2.2 support A119(fw 2.0)? I’m running a 64 bit version of Windows 7 on a high end desktop computer. Dashcam Viewer simply won’t display anything from my VioFo A119. It appears to load a file but nothing is displayed. I’m using a trail copy with only 4 videos in a folder. I’m only loading one file. How do I send you a file for you to review? Hi John, Windows 7 is not a recommended system for Dashcam Viewer because some folks have reported problems similar to what you are experiencing (see FAQ). With that said, you may have better luck if you reduce your A119’s movie resolution to 1080p or lower. Sorry for the trouble! I’ve just run it on my Core i5 laptop with 8GB of RAM and an SSD. The video is jerky which is likely just my laptop not being able to keep up. The GPS data is shown on the video image but the other three windows show nothing. The latest version 2.5.0 works perfectly on Windows 7. Thank you. I will now consider purchasing a copy. John, with the latest version I would be interested to know if you get the stuttering video playback on your W7 system. I know that W7 is not recommended for DCV but I am reluctant to upgrade to W10 at the moment. What graphics card to you have installed? When viewing a 1920 x 1080 file at 60 frames/second with dashcam viewer I see short periods of smooth video mixed with short periods of jerky motion. I have a Core i7-4790K CPU @ 4GHz, 16GB of RAM and an SSD for my C drive. The video file was on my D drive which is a hard drive. I have an AMD Radeon HD 7700 Series GPU with 1GB of video memory. If I run the video file on VLC media player the video is completely smooth. I don’t have an issue with the jerky motion. If I don’t want to see that I’ll just run VLC. But Dashcam Viewer gives me the GPS data which could be handy. My purpose for having the dash cam is strictly for capturing accidents. I haven’t had an accident in 20 years so there is a good chance I won’t even need to view the videos or examine the GPS data. I have the Ddpai M6 Plus. Video is shown, but no Speed (it just displays 0 kph) or GPS-location. Is the camera not supported or do I need to point to the GPS folder somewhere in settings? Rob, the problem with the M6+ is that DDPai has not settled on a GPS data storage scheme. Once I figured out their original scheme and published a version of DV that supported it, they changed the scheme. I think they are still performing tweaks on their firmware so it’s in a state of flux. As a 3rd party developer downstream, it is difficult to keep up with their strategy. I have removed the DDPai M6+ from the list of compatible dashcams until they have settled on a data storage scheme. I have a Cobra CDR 840. 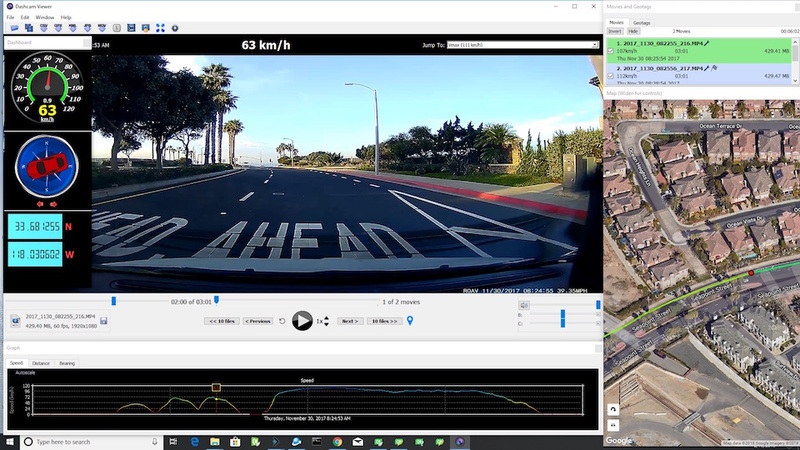 When I open Dashcamviewer it plays the video, but no maps, no speed, nothing in the others windows. Map window totally blank, strange. Could you tell me why? I see your program support Cobra CDR855BT. This is almost the same as mine. Please let me know when is ready to support CDR840. I’ll buy dashcamviewer if I can use it. Hi Steve, although the numerical designations of the two models are similar, they are very different units internally. The 840 records movies using AVI codec and the 855BT records movies in MOV codec. This has an impact in the way GPS data is embedded in the movie file. I was able to crack the scheme used in the 855BT but the 840 eludes me for now. Hi John, Thank you for your answer. Pls. never give up to working on CDR840. Costco sold it nationwide, so maybe someone else is waiting for it. I hear you, Steve. You’re not the first who’s asked for support on this model. It’s in the job jar. Are there plans for second camera viewing on the PC version, I’ve got an INNOVV K1 and being able to view both cameras rather than the one in the supplied software would be incredibly useful. Danny, 2-channel support for Windows is in the plans but no timeline as yet. Just looked up compatibility with my thinkware f750 and it states windows operating system only .Is this still the case as would like to use this on my mac ? Yes, Ben, I’m afraid the movie codec format used by the F750 is not compatible with Dashcam Viewer on the Mac (not is it compatible with Apple’s own Quicktime Player 7, which shares the same video backend as DV). John – really appreciate what you’re doing here. Re. the black screen/resolution too high problem; is this something that you plan on fixing in a future update or is it just something that won’t happen? (I ask purely in the interests of working with the best available quality video from the Mini0806). Thanks again. Jonathan, to answer your question, Dashcam Viewer is built around a video backend, which is a 3rd party product. On some Windows computers this backend prevents movie resolutions greater than 1080p from displaying (the user sees a black screen). This has been a source of frustration for me (and a number of customers) since this software component is out of my control. My hope is that the 3rd party will address this issue in a future release of this product. Fortunately this does not occur in the Mac version of DV, and in a number of Windows configurations. John – First of all, I agree with Jonathan: you’ve got a great product in DCV. As regards the resolution problem in Windows (which fortunately I’ve not encountered since my camera’s resolution is 1080), how easy would it be for you to allow other video display software such as VLC? I suppose the problem are a) it needs to have been installed as a pre-requisite for DCV, and b) keeping the VLC video in sync with the data/map windows. Good luck in getting your present 3rd party supplier to fix the 1080 limit. On those PCs that are affected, is the limit exactly 1080? I ask because I notice my camera produces 1920×1088, with the bottom 8 pixels being for displaying the lat/long/speed. So maybe some people whose cameras are nominally 1080 will be affected by the black screen bug if their camera outputs the on-screen data as *additional* lines rather than overlaying them on the 1080 lines of the picture. John – many thanks for your prompt and detailed response (and apologies for the delay in mine!). In all likelihood, it’s my 5-year old PC that’s causing the problem! Thanks again for what looks like a great product. I’m just off to tweak my resolution down! All the best. Anything’s possible. But currently I’m busy with new features for Mac/PC versions. Glad to hear. I.appreciate how much time you devote to the responses and updates!! Power to your elbow, John. Personally, I urge others out there who are waiting for support for their dashcam before supporting John. Don’t wait. Get the paid version. At the moment, Dashcam Viewer doesn’t fully support my Dashcam (unusual gps coding) BUT I use the registered version as a darn good Viewer for my videos from my phone Canon & Nikon DSLRS, GoPro cameras as well as video from my dashcam. I am more than happy to buy the registration for what it gives me. It is a very good general video player. … No, John has not asked me to write this & I have no association with him other than being a user and supporter. Just purchased the full system, 2 things, The north feature only works on Bing, not on Google maps. Is that normal? What do the 4 blue arrows do on the viewer screen? Mine apparently do nothing. Correct. The “North Up” deselected feature only works with the Google Map. The 5 blue arrows export either the GPS data, a movie snapshot, or a movie fragment. More on this in the Users Manual. First of all, thanks for the brand new version 2.2.2. Now, just a suggestion for the future. It would be nice to feature the option of opening two windows or DCV at the same time. That simple. Not needed to be both syncronized in time or space. Just, for example, for comparing two videos of the same road, recorded at different time each. I wonder if you can get the same effect by running two instances of Dashcam Viewer at the same time? Touché ! ( I should have tried before asking…..) Excuse me, John. I can’t fine anywhere on how to view Second Cam on koonlung K1S? Second cam support only works on the Mac version of Dashcam Viewer. All you need to do is load the parent movie folder. Or you can load individual First cam movies and the Second cam movies will be automatically loaded. Thanks, Martin. Glad to hear it the latest version fixed your issues. I appreciate your feedback. The old problem of F770 Which is solved in version 2.2.0 (extraneous data points are present at the end of the stream) is back again in this version. Ack, Walid, you are right! I removed that fix in v2.2.2 because I thought another fix I did would take care of it. But it didn’t. Anyway, I’ve re-introduced the v2.2.0 fix so you’ll see it back again in the next release (v2.2.3). Thanks for reporting it! Do you have a timeline for DDPai M6+ support on Mac? I’ll be happy to upload a zip, but I guess you already have that since you support Windows. Tom, unfortunately there’s not much I can do on my end to make the DDPai movies play on the Mac version of Dashcam Viewer. DDPai would have to issue a firmware update that writes the movie files in a QuickTimePlayer 7-compatible file format. I have downloaded a trail version of DCV to run on my W7 Ultimate SP1 64 bit system and installed same. On start up of the program all that is displayed is the video screen – no map, no dashboard and no graph. How do I go about getting all these to show to match the images at the top of this page? Also when I play back files recorded on my DDPai M6 + the playback is very jerky literally jumping each second. The video files play perfectly normally in VLC Media Player and other editing programs that I have. Pete, it could be that the missing windows are lurking under the Main player window. Try selecting a window from the Windows menu to bring it to front. Win7 is not recommended for use with Dashcam Viewer because the video backend is not optimized for Win7. A future goal of mine is to use the VLC backend, but this is a ways off. Sorry for the trouble. What if you select a window from the Windows menu? Does that work? In the next version of Dashcam Viewer I’m going to add a “Stack Windows” menu item to put all the windows front-and-center so this won’t be an issue. In the windows menu is how I can get any 1 menu, but I can not get all three to load as it appears in the tutorial. John , Thank you for the update today. The windows do stack now but as soon as I click any mouse gesture (another video, or any other move) the stacked windows go away. I also can’t get them to look as on demo? David, Manuel– I can’t replicate this behavior. I can move the various windows around and they don’t disappear. Are you sure they are not behind the main window? I have rechecked now. The problem still occurs. When any secondary window dissapears (because of clicking in some, not all, of the other features of DCV), it’s needed to reclick “Stack Windows” to bring it up again at sight. They are behind the main window. I was trying to replicate your demo with all 3 appearing at video startup. This will certainly work for the time being and I appreciate your work and timely responses. I have the VIOFO A119. I did not see it in your list. Before I commit to purchase I would have to be assured that the A119 is compatible. I will check back occasionally to see if and when you add it to your list. Hi James, sorry for the trouble. Any chance you can send me the “black screen” movies for testing? Also, what OS are you using? BTW, I haven’t officially listed the A119 as “compatible” as there appears to be a bug in the version<1.1 firmware that corrupts the GPS data. I have the VIOFO A119 and it works with it. The only thing I have a problem with is when it is reading direct from the dash cam (which I prefer), I get the message that it is “not responding”, but if I leave it, it starts again and all the files have loaded. I am only using the free version at the minute to check it out, but so far so good. Mick, the USB connection to the A119 is probably the bottleneck. You’re streaming a lot of data when playing the movies in DV and the bus may not be able to keep up. For best results, use a card reader or copy the files directly to your hard drive first. I apologize for the inconvenience. 1. The GPS data often times will plot to somewhere in Europe for some of the files recorded on my Falcon HD170+. And often times I get redlines that stretch to the East to these points in Europe in addition to the primary recorded path continuing on the Google Map. I have a screen shot to show you but don’t see how I can post it on your blog here. 2. Occasionally the GPS tracking just disappears from the group of consecutive files I’ve loaded into the viewer. To my knowledge, the GPS device on the Falcon had not moved. In the latest occurrence, the weather was clear & I had no blockage of the line of sight upward that I could tell. Great software and any idea when in Windows we could merge movies and keep the gps data. This is keeping me from purchasing th software. Just a thought for when you have nothing else to do (??? you wish! )… I was playing with a time scrubber. How about adding a ‘time laps’ module that would allow a video to be saved with ‘n’ frames removed… just a thought… it could attract more users, thus more money in the pot! However, I am truly looking forward to the moment when you send out an update saying it now full supports the 402g…. no rush, tomorrow will do! Thanks for being a Dashcam Viewer supporter even though your dashcam model is not supported. I’m afraid I haven’t gotten any updates on the Nextbase 402g front. Nextbase still has not provided the decoding scheme, despite requests from me and a number of 402g customers. You can try your luck: Sales@nextbase.co.uk. Regarding your feature request: although I don’t have that specific implementation you can export a movie fragment of N seconds duration. That way you can exclude seconds you don’t want to see. Not a complete solution since currently the GPS data is not fragmented as well, but I plan to fix that. Unfortunately, no, the mp4 does not show any video (but the gps seems to be there), the get info Codecs says “H.264, Linear PCM, QuickTime Text”. Love the Thinkware x330. But their mac software is a bit strange, wish this viewer worked. I’d buy it in a minute! Ah, that’s too bad. Not much I can do about it on my end. Interestingly the Thinkware F550 produces movies that are compatible with Mac Dashcam Viewer. But the F750, and now the x330, do not. Frustrating. Thinkware dash cam x330 is now on sale at Sams Club for $99.00 with GPS(9-4-16), too bad the MP4 has not been resolved, there’s going to be a lot of Dash Cams out there now. Loni, I have not yet tested a Thinkware 330. It might work with Dashcam Viewer already (either Windows version, Mac version, or both). I won’t know until someone submits provides me with test movies. A more complex one. For my job, it would be very useful to have another line, just above the time line, showing information of interest for the user. I mean, that line could be related to a table, which should be filled by the user. The first column of the “user table” would be “File” (without extention), the second column would be “minute:second” in the video of that file. The third (and even four) should be free to fill by the user. In my case, I would need a third column where I would write the official kilometer point of the road (and maybe in the four column a short comment, for instance, “bridge”). So, as I am viewing the video I could go to any kilometer point that I desire. –	Correction: In the Spanish version appears in the time line “von” which is in German (i.e. 1:32 von 5:00). It should be “de” in Spanish. Hope you don’t get annoy with me for so many things.